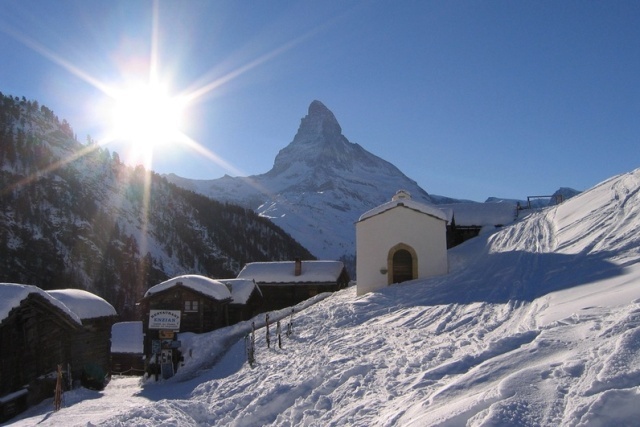 Nowhere in the Alps combines such high quality snow-sure skiing with a vibrant village atmosphere quite like Zermatt. 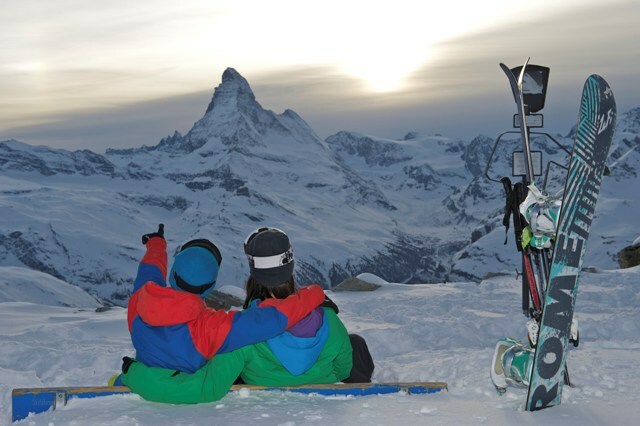 Zermatt’s slopes are spread over three main mountains, connected by lift and by piste in both directions. Each area has its own distinct character and an excellent variety of pistes for all levels. 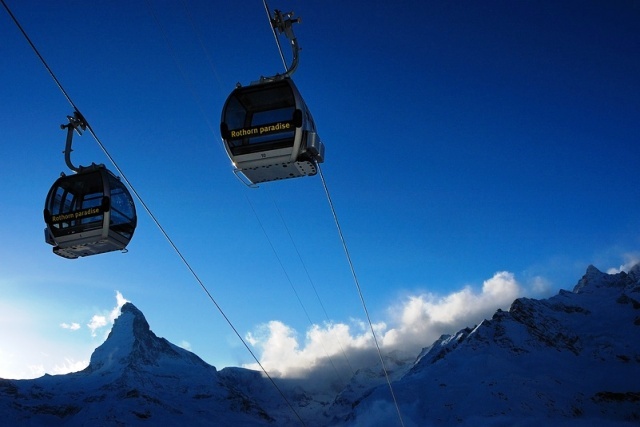 The highest and largest area is Klein Matterhorn - Schwarzsee, accessed by gondola at the far end of town. 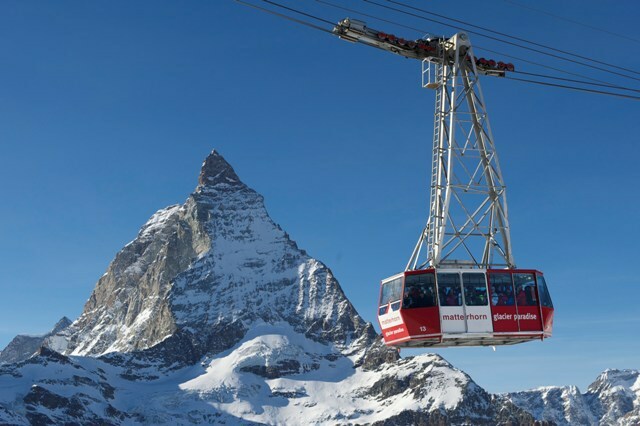 Here you will also find the glacier (home to the highest pistes in the Alps) and links to Cervinia in Italy. 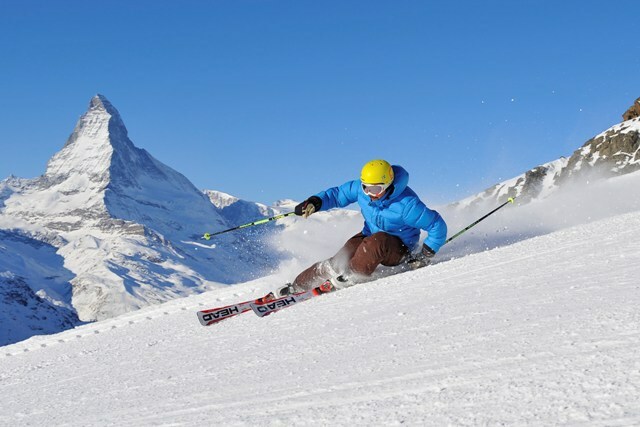 The glacier is very wide and very gentle allowing even near beginners a chance to ski in spectacular high mountain scenery right at the foot of the Matterhorn. Most of the tougher runs are lower down. The other two areas are accessed by funicular and cog railway from the centre of town. Of the two, Sunnegga is best for children and beginners, with a designated area set aside from the main pistes. 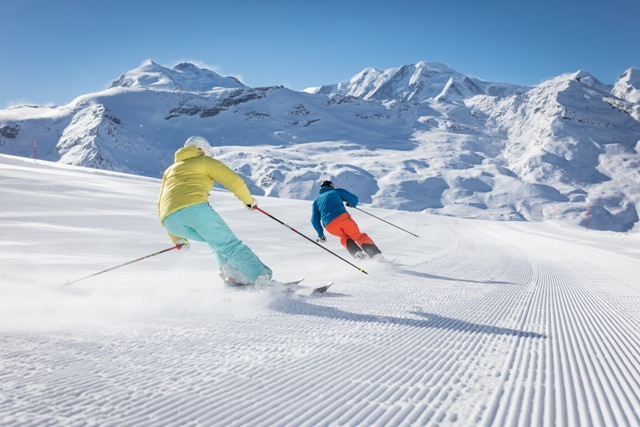 However, both mountains reach over 3000m and offer some exhilarating skiing for intermediates and advanced, including lots of itineraries and off-piste. At Trifti (beyond Gornergrat) you will also find some of the toughest bump runs in the Alps. 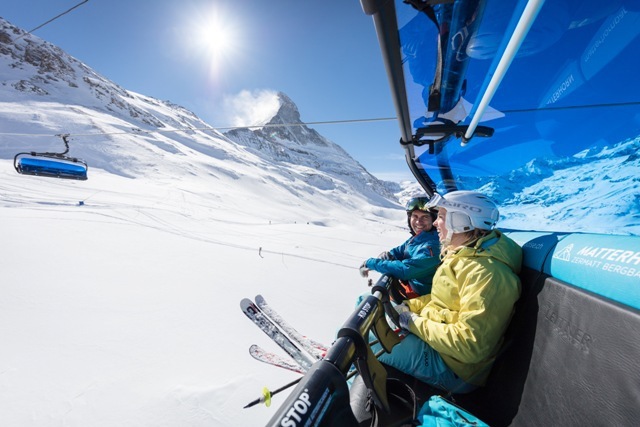 Wherever you choose to ski the scenery is simply mind-blowing, with 4000m peaks (including the Matterhorn) and glaciers wherever you look. This is also a resort for serious lunching - Zermatt has without doubt the finest choice of mountain restaurants anywhere in the Alps. 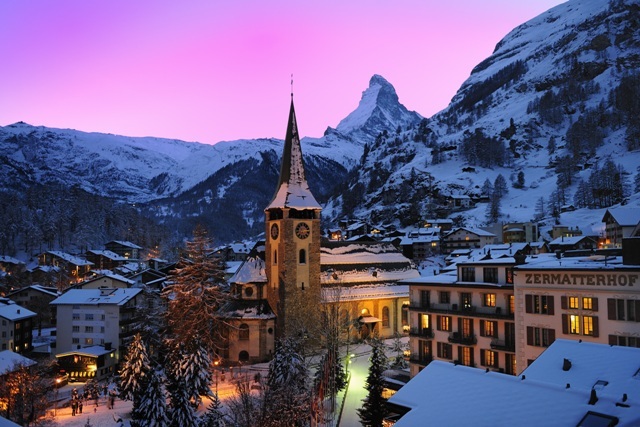 Despite having grown into a lively year-round resort (where summer business is as important as winter) Zermatt has retained much of its village atmosphere and remains one of the most charming resorts in Switzerland. 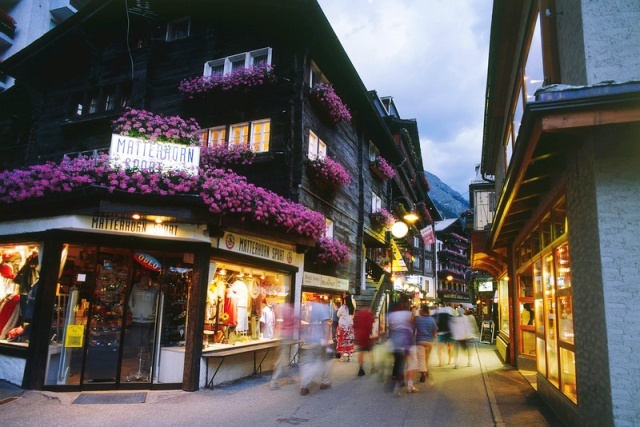 Non-skiers are particularly well catered for with countless shops, cafés, restaurants and an excellent museum. 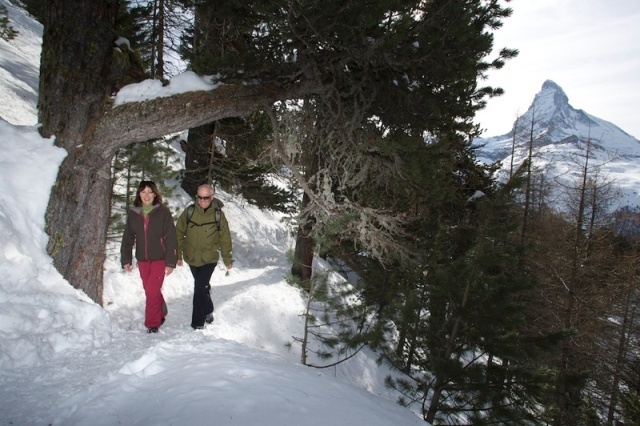 There are also pedestrian-friendly lifts and mile upon mile of winter footpaths. 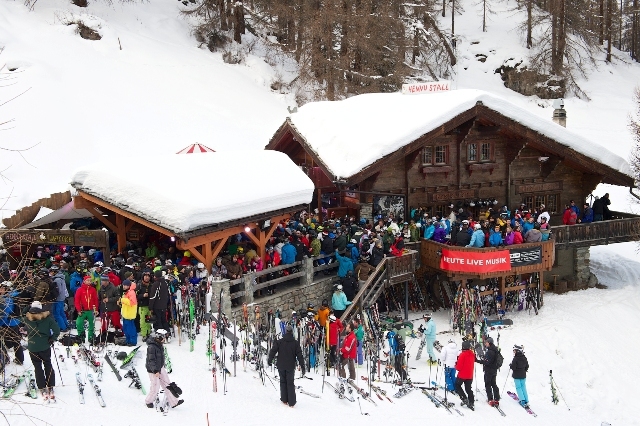 Après-ski is lively and varied (but not rowdy) and caters for all tastes and ages. 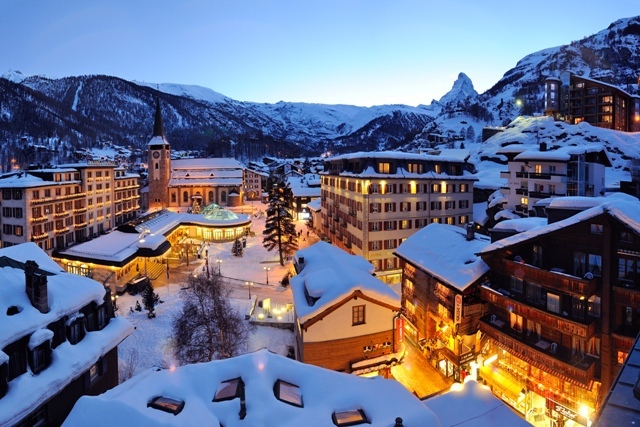 Zermatt is located in the canton of Valais in the south-western Swiss Alps, close to the Italian border. Guide prices are based on a departure in low season and include flights, train transfers and 7 nights accommodation on either a *B&B or **half board basis.